Posted in: Uncategorized. Tagged: boots, Clothing Fair, Collars, Fashion, Fetish Ballet, JariCat, RFL, Second Life, Shoes, Silks, SL, Virtual. 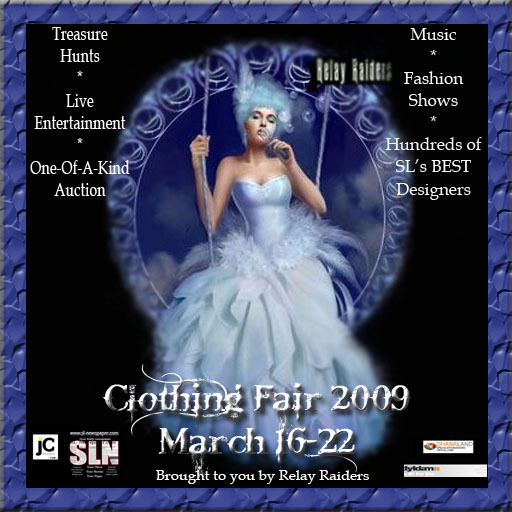 The Relay Raiders are proud to present 7 original dresses designed by a few of SL’s premier clothing designers. Representing the 7 Deadly Sins, these works of art will be auctioned during this year’s “Clothing Fair 2009”, by way of silent auction. The auction is scheduled to run from the sim’s grand-opening on Monday, March 16, 2009 at 9:00 am SLT; until 6:00 pm SLT Sunday, March 22, 2009. Fashioned after the art of Marta Dahlig, this year’s designs are as indulgent as the sins they represent. 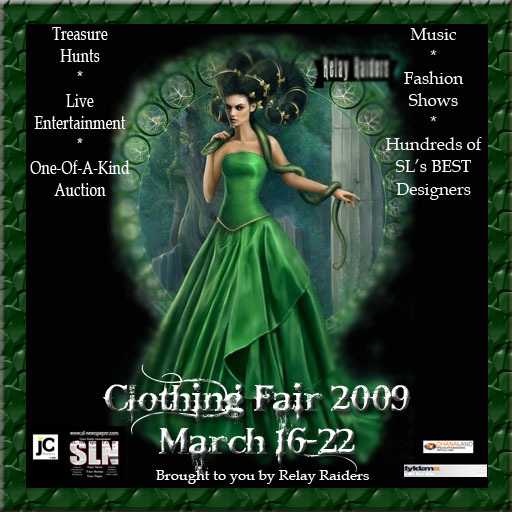 Bidding is the easy part… there are 9 sims with over 170 designers represented this year and entertainment scheduled around the clock! Even sin can be beautiful in your second life… and let’s face, there’s a little sin in all of us! All auction proceeds to benefit Relay For Life of Second Life 2009. Posted in: Uncategorized. Tagged: boots, Fashion, Fetish Ballet, Gorean, JariCat, Second Life, Shoes, Silks, SL, Virtual. 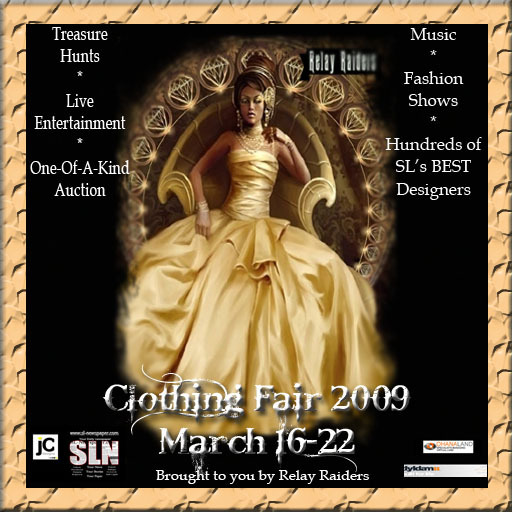 Due to the overall economics in RL and SL, Eye-Catcher has decided to lower the prices for all items upto 50%. 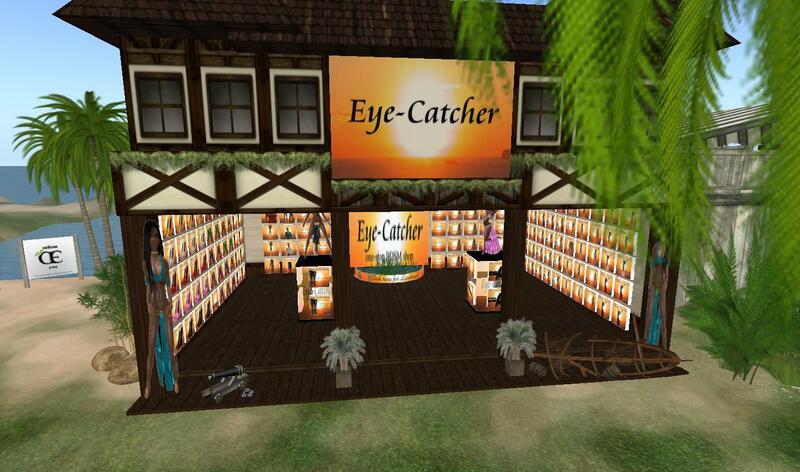 This counts for all the Eye-Catcher shops around SecondLife, the Mainstore and Xstreet. Please enjoy the new prices! Posted in: Uncategorized. Tagged: boots, Fashion, Fetish Ballet, JariCat, Second Life, Shoes, SL, Virtual. Fetish Ballet Boots with silver heel totally sculped and just over the knee to get a more real effect. The top of the boots are mod. so you can easily move your ankle shackle scripts into there. However i dont give support to that The padlock has a little bling in it to make it even more real. I just released the Fetish Ballet Boots with scripts. I also released the Zodiac Silks with the Eye-Catcher HUD. Zodiac Silks come with skirt, bra and 1 armband. On many requests i have added 8 other colors to the fetish ballet boots.